Recipient of competitive extramural funding from both the NIH and non-federal sources. 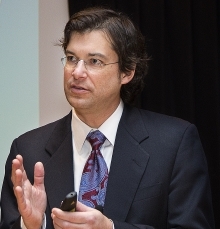 He has served as a member of grant review panels, a reviewer for various biomedical journals, as well as a member of journal editorial boards. Before his recruitment to GWSW he served as a mentor for junior-faculty grant applicants and was recognized routinely for excellence in teaching. When John’s not presenting seminars or consulting on individual grant proposals, there’s a good chance you’ll find him on a tennis court. 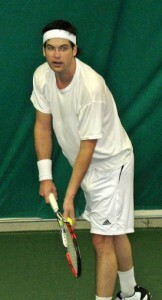 John played junior tennis competitively for several years. After a 20-year break from the sport, he dusted off his racquets (actually bought new ones) and started playing again in 2005. He generally plays about four times a week, prefers singles to doubles, and for any tennis aficionados out there, John’s current NTRP rating is 4.5.